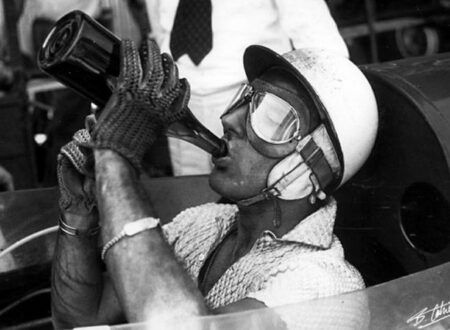 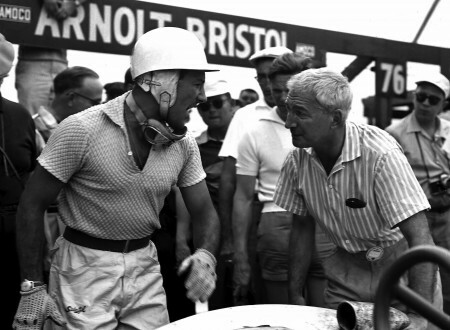 Stirling Moss is somewhere near the top of every Formula 1 fans all time best drivers list, the fact that the man is still alive and still driving fast after all these years puts him slightly ahead of Keith Richards in the most-bulletproof-British-icon league. 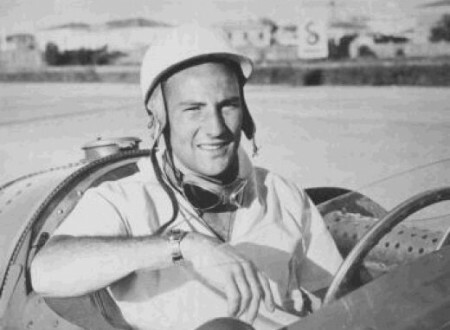 Stirling Moss won the 1955 Mille Miglia in a Mercedes-Benz 300 SLR with a combined average speed of 97.96 mph over the courses 990 miles. 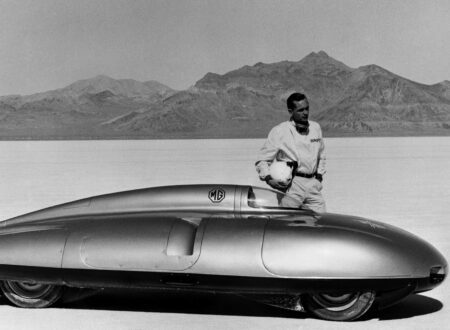 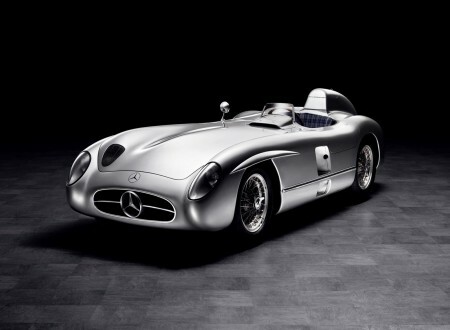 Years later he would look back on the 300SLR and call it “the single greatest sportscar ever built, really an unbelievable machine”. 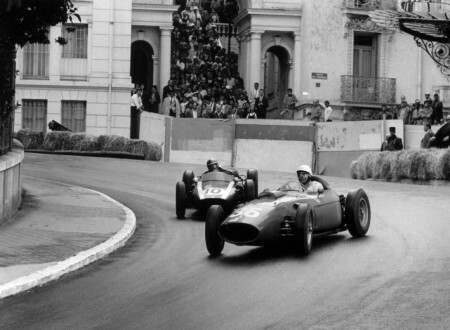 This is Phill Hill drifting his Ferrari 246 around the impossibly tight Monaco street circuit with Bruce Maclaren in hot pursuit in his Cooper T53. 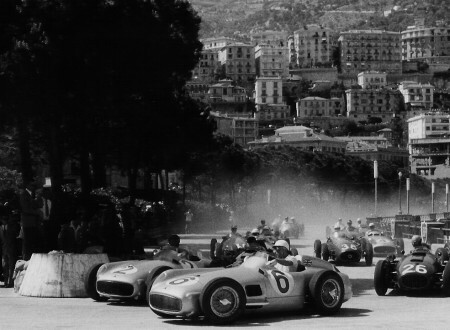 The 1955 Monaco Grand Prix was only the second race drive for Stirling Moss in the Mercedes, his team mate was the legendary Juan Miguel Fangio who can be seen in the above image in the #2 car, Moss is in the #6 on the outside.